Growing as a Teacher: New Love for Technology in the Classroom. When I started in the Education After Degree program at the University of Regina I was reluctant to learn how using technology in the classroom benefits the students. Before I was a teacher, I was an educational assistant in a high school. My role in the classroom was to monitor cell phone use of students to make sure that students were on task. I now think why not use technology in the classroom; However, teaching student’s technology etiquette is important in order to allow cell phone use. During my internship, I used technology throughout my lessons, during ELA my students that wanted to type their responses were able to use their cells/tablet or laptops to do so. They then were able to email me their responses. Not only did my students love being able to use their technology but this also differentiated for my students that had problems with printing/writing. I was also able to introduce the school to fun educational apps such as Kahoot!. I left my internship wanting to engage my students with more technology. One thing that I will introduce to my students in my classroom will be blogging. Blogging is something that I have grown at over the last year and a bit. I now use my blogging as a way of reflection whether it is something I have read or an experience I want to reflect on. I feel that students should be able to use blogging in the same way. They can also comment on others work and share their ideas online. Kidblog is an excellent blogging app for the classroom. Not only as the teacher your can monitor what students are saying but you can monitor comments, delete anything that is inappropriate. Although I am still learning about the technology out there, I am very excited for the future of technology in the classroom. 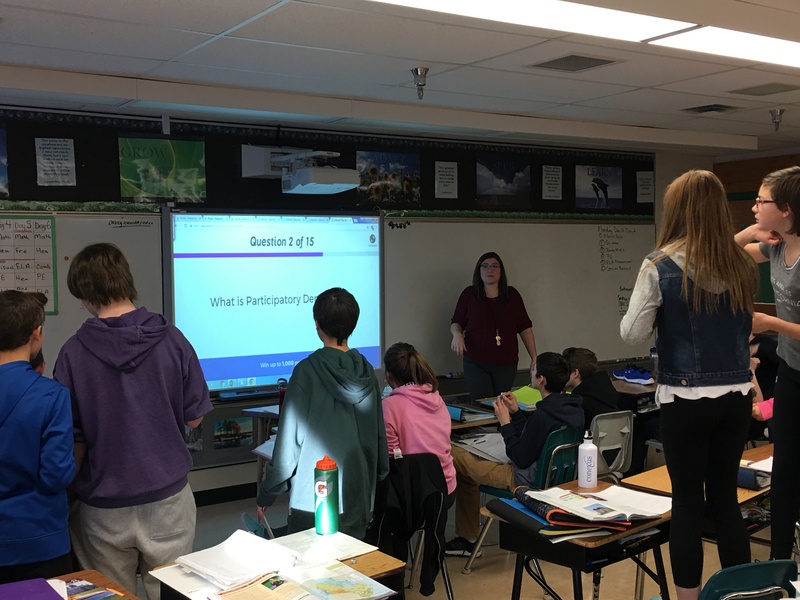 Grade 8 class studying for Social Studies using Kahoot!